It offers many different options for you to present your portfolio posts, along with several different layouts. 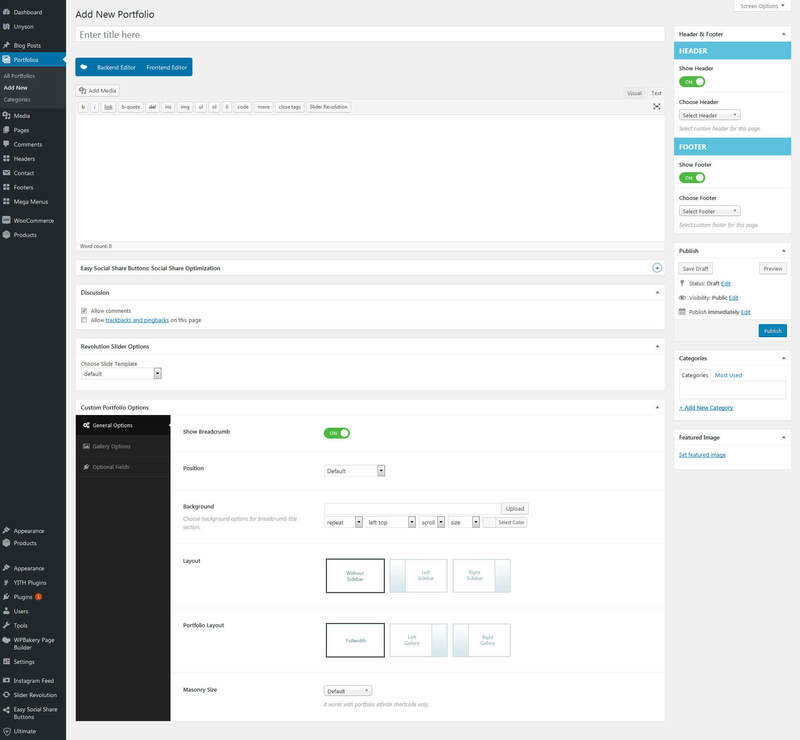 In addition there are numerous Theme Options and Shortcode Options that allow you to customize how are displayed. The Tanj Construction portfolio is extremely versatile and powerful. Tanj Construction theme provides easy and powerful tools helping to create eye catching galleries. Portfolio items are just usual posts with improved look and feel features and work exactly as blog posts. To create a portfolio please start by creating a new page Pages > Add New and setting up the title eg. Portfolio. In the Template field set the option Portfolio template. 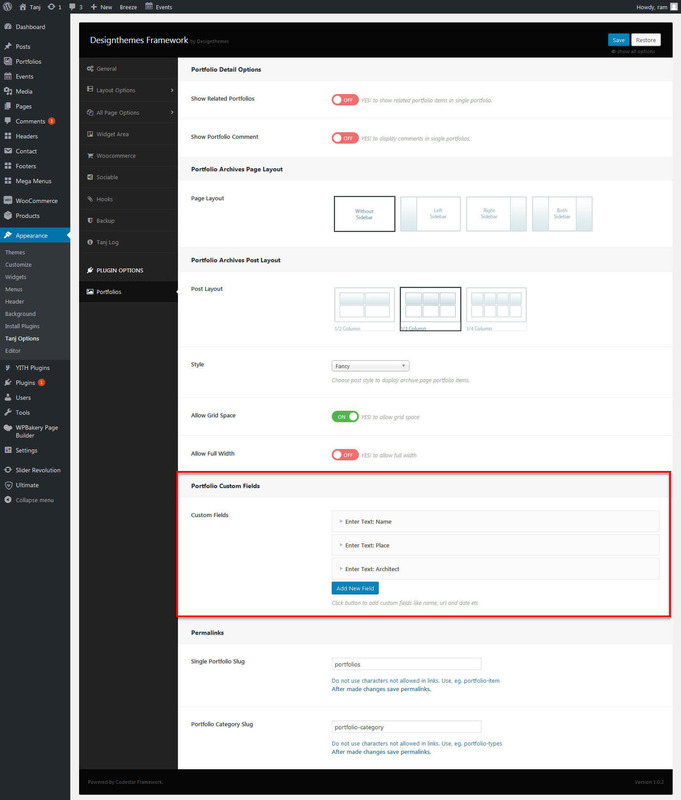 In the bottom section you will find Page options such as Layout and Sidebar. You can then select whether your portfolio should be in full width or with a left or right sidebar. Now we have just created a category that will contain our portfilio items and display them proper way. If you add some subcategories to this main category they will inherit parent style unles you choose to override them at category options page. Lets add some portfolio items! make sure it has good quality. General Options – Here you can enable or disable procedures breadcrumb with Show Breadcrumb option, you can set breadcrumb Position, Choose background options (image or color)for breadcrumb title section and select your procedures Layout. Gallery Options – Here you can add images to you procedures gallery items. Once you are finished, click Publish to save the post.